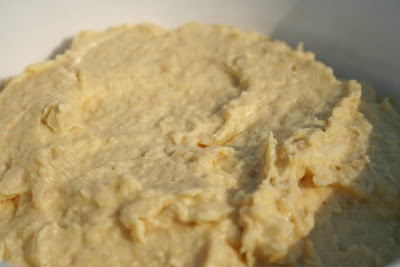 This is a simple hummus recipe that you can play around with by adding a variety of spices. Add all ingredients into a food processor and process well. 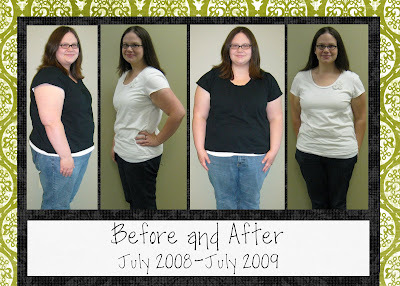 Actually it has been about 14 months for me, but I finally got my before and after pictures from my weight loss center. I love seeing people's before and after pictures... so I thought I would share mine. You can see more and read more here. Today, I paid 3.50 a box. I love simple and easy dinners. This one has to be one of the easiest! Pull out the crockpot. Pour 1/2 cup of water in the bottom slow cooker. Slice half of a large onion and place inside. 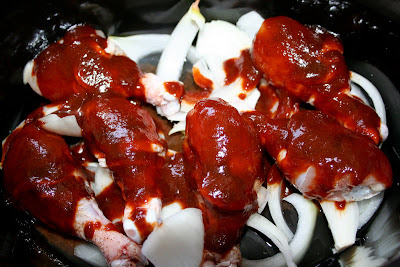 Place chicken legs, thighs or breasts on top of onions. Top with your favorite BBQ sauce. Cook on low for about 7 hours or high for about 4 hours. For a side, I served Broccoli with a Cheese Sauce. Very tasty and only 45 calories a serving! The calories for the chicken will vary depending on the BBQ sauce you use. 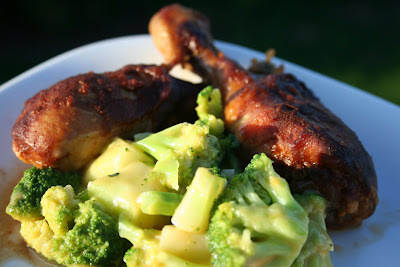 But the average plain chicken leg is about 156 calories and 26 grams protein. Saute the almonds in 2 tablespoons of the butter over medium-high heat, stirring frequently, until almonds are golden. Removed from heat and set aside. Dice the celery and slice the scallion, drain the tuna, and combine them in a mixing bowl. Add the sour cream, mayonnaise, lemon juice, and pepper. In a small skillet, melt the last 1/2 teaspoon of butter and saute the curry powder in it, over medium heat, for just a minute. This will bring out the full flavor of the curry. Scrape the curry butter into the salad and mix until the curry is well-distributed. Stir in the almonds. It's ready to serve. Yield: 2 bandster size servings, each with 6 grams carbs, 2 grams fiber, for a total of 4 grams usable carbs, and 22 grams protein. Without the subs, of course. I take 6 frozen meatballs (160 cal), 6 turkey pepperonis (40 cal), 1/4 cup or so of Marinara sauce(40cal), and a serving of Mozzarella cheese (80cal)...I through everything in a container and send him off. He microwaves it for a few minutes. And that is it. The total calories depends on the bands you use. His lunch ended up being 320 calories an 28 grams of protein. 80 calories, 4.5 grams of Fat, 8 grams of protein. Take pepperonis and microwave for 25-30 seconds. They come out nice and crispy. My latest grocery store find is The Laughing Cow- Mini Babybel Light cheese. Of course, found in your cheese isle. I paid 3.99 for a pack of six. Well, worth the cost. They taste great! Some might think I am crazy, but I think it is practical! I make a thick black bean puree and I freeze it into ice cube trays. When you heat it, the beans thicken and then you have "re-fried" beans. I just pop them into the microwave for a few minutes, but you could actually fry them and make re-fried beans. In Guatemala, the re-fried beans are very smooth. There are no chunks. They pressure cook the beans and then puree them and then slowly fry them in a pan until they thicken. I started doing this for my kids a year and a half ago. To save a few bucks, I decided to make my own baby food for my girls. I started with squash and pears, eventually I got up to making beans. Well, I soon realized that the beans were going really fast, way faster than the other baby food. I later found out that my husband was eating them with his eggs for breakfast. He would scramble an egg or make an omelet and eat it with the black beans and crema. So it stuck! And I've been doing it ever since. 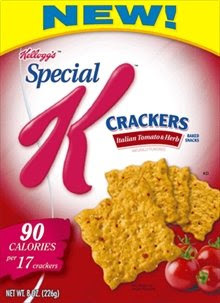 Even though it is consider a soft food, I eat them on a regular basis. Because I am really tight in the mornings, I eat them mainly for breakfast with scramble eggs. I also use them often for quesadillas with chicken and cheese. I put them on top of rice for the kids. I use about a pound of beans, a really large onion, and garlic salt. I cook them overnight in my slow cooker and in the morning I puree them so they are a little thicker than pancake batter. I pour them into ice cube trays and freeze them for several hours. When completely frozen, I set them out on the counter for a few minutes or run some warm water along the back side of the trays and pop them out. Then I place them into a freezer bag and back into the freezer. They'll last about a month or so in the freezer. I got the original recipe from eatingwell.com. I changed it up a bit to better fit my needs. Brown sausage, mushrooms, green onions and green peppers together. Evenly divide between muffin tins. Top with cheese. Whisk together eggs, milk, salt and pepper. Pour over meat mixture. Bake at 325 for about 25 mins. 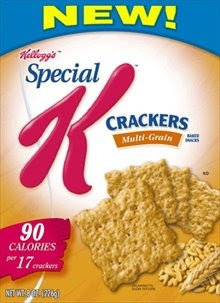 Makes 12 servings at 80 calories and 7 grams of protein per serving. Preheat oven to 450 degrees. Mix ricotta cheese, Parmesan cheese, beaten egg, and seasonings together and place in an oven proof dish. Pour marinara over mixture. Top with mozzarella cheese. Bake at 450 for 20-25 minutes for best results. Can be microwaved until hot and bubbly for quick preparation. Great reheated! Sorry, I lost the picture. This dish is fabulous and so easy to make. I think it is my favorite so far from Miss Rachel. When I made this I got 3 serves at 300 calories and 22g of protein per serving.